A big tech rally and the swelling ranks of successful offerings are leading more tech firms to explore going public. But many still feel as if they have strong incentives to remain private for now. Last year, quite a few tech IPOs that arguably qualified as diamonds in the rough turned in strong performances. That, together with equity markets that (despite the recent correction) remain far above early-2017 levels, appears to have convinced a growing number of high-profile private tech companies to test the waters or at least consider doing so. But while tech IPO activity has picked up in recent months, it would not be quite right to say that the market is booming. There are two big deterrents that have kept a lid on new tech listings in recent years, and haven't gone away: The first is ample access to private funding by well-established tech "unicorns;" and the second is nervousness among those unicorns about dealing with public investors who can be more demanding than their private counterparts about short-term results. Within less than two weeks of each other in January, Spotify and Dropbox, perhaps two of the five best-known unicorns among public investors, filed to go public. 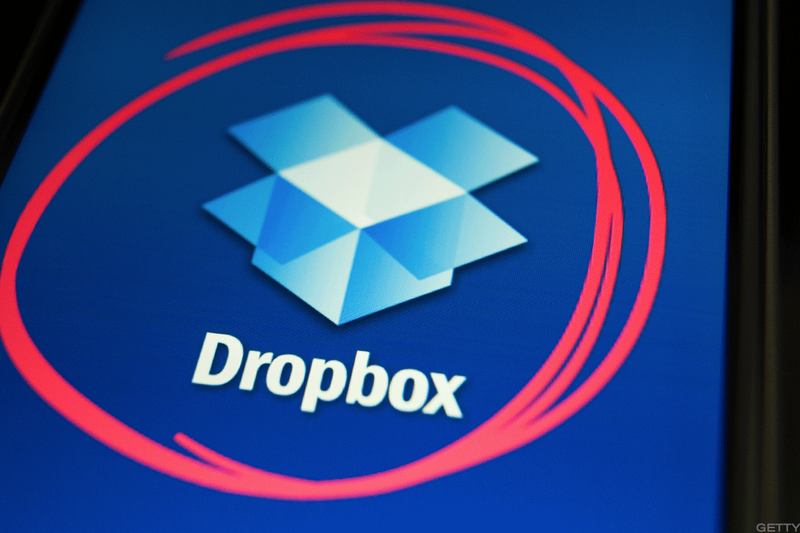 Dropbox, valued at $10 billion back in 2014, is doing a traditional IPO led by JPMorgan and Goldman Sachs. Spotify, valued at $19 billion in late-2017 private trades, is eschewing the traditional IPO route featuring an offering of new shares in favor of a direct listing that will result in private shares becoming immediately available for trade. Clearly, Spotify's IPO route raises questions about whether the online music leader, which posted a $422 million 2016 operating loss and faces stiff competition from Action Alerts Plus holding Apple (AAPL - Get Report) and (to a lesser extent) others, is worried about the scrutiny a traditional IPO roadshow and share offering would bring. But direct listing or not, the company's willingness to test public markets despite its income statement and competitive backdrop arguably speaks volumes. A few other unicorns also appear to be hatching IPO plans. Chinese smartphone maker Xiaomi, valued at $46 billion in a 2014 round, was reported in mid-January to have hired Goldman, Morgan Stanley and Citic Securities to handle a public offering expected to come in the second half of 2018. The company is reportedly aiming for a $100 billion valuation, but given slowing industry growth and tough competition from both domestic and foreign OEMs, that might prove easier said than done. In November, Tencent-backed Chinese local commerce giant Meituan-Dianping, valued at $30 billion in a 2017 funding round, was reported to be mulling a 2018 U.S. IPO that would raise at least $3 billion. And in January, online polling firm SurveyMonkey, valued at $2 billion in a 2014 round, was reported to be talking with bankers about a 2018 offering. Will Dropbox go public this year? For its part, enterprise collaboration upstart Slack recently hired a CFO, fueling speculation it's prepping for an eventual IPO. A smaller business software offering happened on Friday: Cardlytics (CDLX , a provider of analytics tools that help marketers derive insights from transaction data, raised $70 million by selling 5.4 million shares at $13 apiece. Shares closed up 2.9% on their first day of trading, leaving Cardlytics sporting a $300 million-plus valuation after accounting for outstanding stock options and restricted stock units (RSUs). Notably, given what it signals about how private equity firms view the current IPO environment, some big formerly-public enterprise tech firms that were taken private in recent years also appear to be mulling IPOs. Last week, Dell, which went private in 2013 and three years later bought storage giant EMC, confirmed (following reports to the effect) it's mulling both an IPO and a potential reverse merger with VMware (VMW - Get Report) , which it owns an 82% stake in. And on Friday, systems/app management software firm BMC Software, which was taken private in a $6.9 billion 2013 deal, was reported to be talking with banks about an IPO that could value it at $10 billion after factoring debt. But for all the stories about planned or potential offerings, quite a few big names on CB Insights' tech unicorn listappear to be in no rush to go public. Uber is one of those names: In November, new CEO Dara Khosrowshahi indicated the ride-hailing giant wouldn't go public until 2019, as it works to pare its still-massive losses and recover from a spate of recent PR black eyes. In December, the company inked a deal with SoftBank through which the Japanese conglomerate bought shares from existing investors at a $48 billion valuation and injected $1.25 billion in new capital at a $69 billion valuation. Home rental marketplace Airbnb, which reportedly turned a small profit last year on $2.6 billion in revenue, also remains reluctant to go public for now. It was recently reported that CFO Laurence Tosi departed the company after losing a battle with co-founder/CEO Brian Chesky over his wish to do an IPO this year. "Founders, these days, tend not to have much reason to go public," observed Bloomberg's Matt Levine in response to the report. "They can raise money easily from private markets...they can get liquidity for their own stakes...and they can generally maintain a lot more freedom and control of their companies if they stay private than if they have to answer to the whims of public investors." He added that it's employees, who often have a hard time unloading the shares they've been granted in the absence of an IPO, who tend to push for a public offering. For that reason, many highly successful private tech firms featuring founders who maintain large stakes are happy to bide their time with regards to going public, provided employee discontent doesn't boil over. Data-mining software firm Palantir Technologies, privately valued at $20 billion, might serve as a good example. Ad tech unicorn AppNexus, reported on Thursday to be reluctant to do a long-anticipated IPO due to a fear of seeing the kind of harsh post-IPO reception that Snap (SNAP - Get Report) witnessed, might be another. Snap's reception, of course, looks a bit less harsh following Wednesday's giant post-earnings surge. And as Square (SQ - Get Report) , Box (BOX - Get Report) and others can vouch, Snap is hardly the only tech IPO in recent years to look a lot more "successful" today than it may have in the weeks or months immediately following its debut, thanks to the arrival of market-pleasing earnings reports that put to rest the fears of "demanding" public investors. The swelling ranks of tech IPOs to fit that profile, together with the Nasdaq's massive 2-year run, could give additional private firms the courage to do public offerings later this year. But should that happen, chances are we'll see something resembling a steady stream of tech IPOs arriving, rather than a torrent of them.